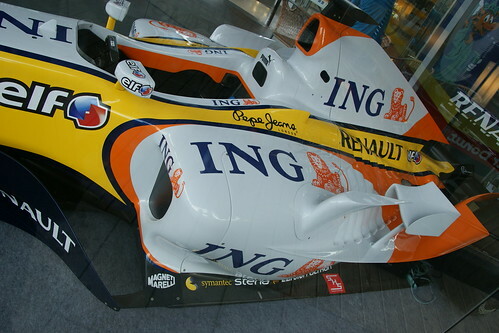 For promoting Renault's new cars, Renault Motor Taiwan is having an F1 show in New York New York Shopping Center, Taipei during April 25 to May 25, 2008. 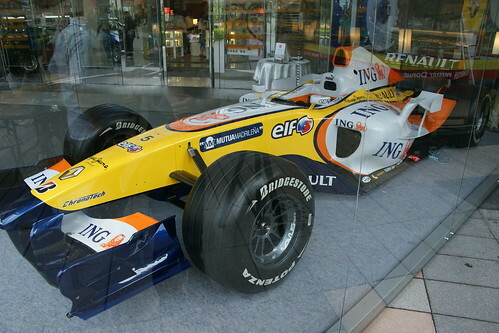 As a Formula one fan, of course I would not miss this chance to see an F1 racing car, even it is just a show car. But this time, I am kind disappointed about this F1 show. The show car is surrounded by high glass walls. This show car is not R28, R27, or R26. I can not tell what model it is, though it wears R28 (2008 model) painting.